In this episode of the Failed Critics Podcast, hosts Steve Norman and Owen Hughes are joined by guests Andrew Brooker and Callum Petch to take a look over the latest film releases, review what else they’ve been watching in the past seven days, and to cast their beady eyes over recent news. With the score tightly poised at 1-1, Steve’s ground breaking, Earth shattering, cataclysmic quiz kicks off this week’s episode, swiftly followed by some news close to home [INSERT ‘NEW WEBSITE’ KLAXON] and some a whole (cinematic) universe away. The team also discuss the trailers for the first ever Netflix original movie, Beasts of No Nation, as well as the upcoming Coen Brothers film, Hail, Caesar!. We also feature a look back at The NeverEnding Story, a look ahead to Hotel Transylvania 2, and a look… now… at the Fright Night remake. Callum retains his dignity when Owen and Steve shrug in unison at Sicario, before delving into some returning TV shows, including The Walking Dead, American Horror Story and Z-Nation. Unfortunately, they haven’t been seen on a new SONY BRAVIA TV. Ahem. Of course the podcast wouldn’t be complete without a review of the latest films to hit the cinema screens. Callum can’t quite fathom the ‘who’, ‘how’ or ‘why’ Pan was made, whilst Steve explains why we’re all bad people for not watching it. 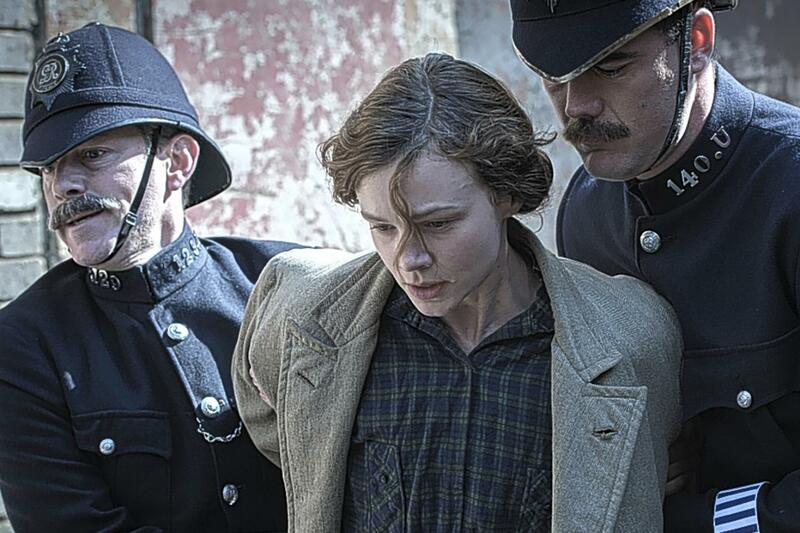 Brooker and Owen reveal why Suffragette might just be one of the films of the year, but may also be a difficult watch for some people. There’s even room for a final grab at the popcorn bucket as the new Robert Zemeckis movie, The Walk, proves to be a success. Join Steve and Owen again next week with more new guests for a Halloween triple bill and a review of Crimson Peak.